Following the announcement that the final season of Star Wars: The Clone Wars will debut in its entirety on Netflix starting March 7, the streaming service has released the first trailer for this 13-episode season. Fans will also be able to stream the director's cut of the first five seasons, allowing viewers a chance to relive the series before watching the last episodes. Check out this new footage, which features Liam Neeson voicing the spirit of Qui-Gon Jinn, the character he portrayed in 1999's Star Wars: Episode I - The Phantom Menace. In these eagerly anticipated episodes of Star Wars: The Clone Wars, some of the deepest mysteries of the conflict between the light and the dark sides of the Force are revealed. An intrepid clone trooper discovers a shocking secret, Anakin Skywalker's closest relationship is tested to its limits and what Master Yoda discovers while investigating the disappearance of a Jedi could forever change the balance of power in the galaxy. Fans will not only be able to watch the thrilling finale, they'll be able to see more of The Clone Wars than ever before as Netflix will also stream the director's cut of seasons 1 - 5. 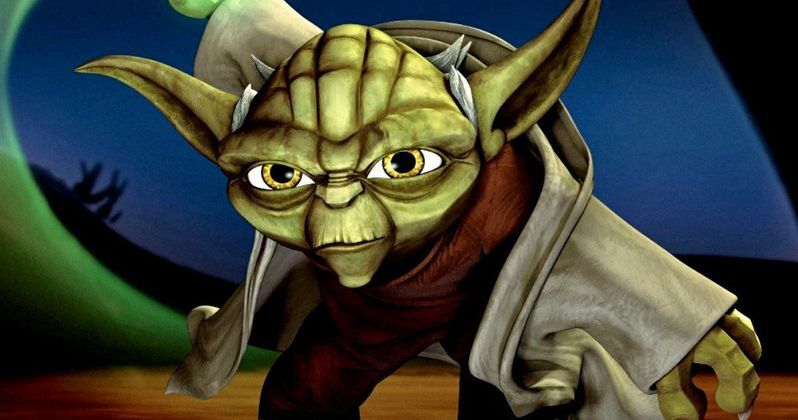 Star Wars: The Clone Wars is the first time any Star Wars content has been available for Netflix streaming members. The deal follows a recent announcement from Netflix and The Walt Disney Company to bring multiple original series based on Marvel characters to the service in 2015. Netflix will be the exclusive U.S. subscription television service for first-run, live-action and animated movies from the Walt Disney Studios including titles from Disney, Walt Disney Animation Studios, Pixar Animation Studios, Marvel Studios, Disneynature and Lucasfilm beginning in 2016. Netflix members can currently enjoy a wide range of Disney, ABC Entertainment Group and Disney Channel films and TV shows across the 41 countries where Netflix operates.